Last week, ESC member group NRDC announced they were working with the state of Montana to enact policy that would create what’s being billed as a “wolf stamp” that could be purchased to help fund wolf-related programs. Montana Wolf Stamp coming soon? First, it’s important to note that the stamp is not final and that there could be changes to the plan in the rulemaking process. But, here’s what we know today: the proposal calls for the stamps to be offered for sale at $19 and the funds raised will be used in 3 ways. One third would be made available to Montana livestock owners to help pay for nonlethal ways to protect their animals from predators like wolves, bears and mountain lions. One third would be used to pay for studying wolves, educating the public about wolves, and improving or purchasing suitable wolf habitat. One third would be used to hire additional Montana Department of Fish Wildlife & Parks (MDFWP) game wardens in occupied wolf habitat. 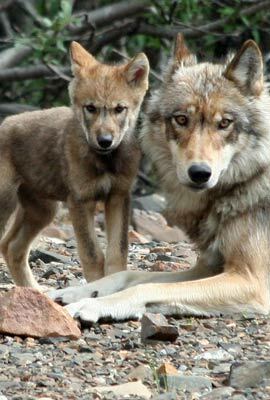 ESC member group the Wolf Conservation Center sees potential risks but is cautiously optimistic that the stamp will be a very positive first step. The Federal Duck Stamp program, on which this is loosely modeled, has been wildly successful in its 80 year history in allowing hunters and non-hunters alike to contribute to conservation. It has raised more than $800 million since its inception, which has been used to purchase or lease over 6 million acres of wetlands habitat. In a time when states’ budgets are stretched, wildlife often is shortchanged and programs like this are a potential source of both funds and a path to influence for non-consumptive users. The Endangered Species Coalition will continue to evaluate the proposal as it goes through the state’s rulemaking process and will facilitate public comment when possible. We do view actions such as this as a positive first step. Hunters and trappers rule game agencies in some states because their license fees pay the agency budgets. Attempts to match this influence through voluntary contributions are challenging, but should they succeed could provide a long-sought seat at the table. 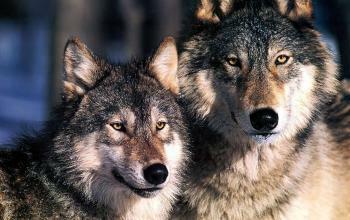 8 Comments on Is a Wolf Stamp the Solution in Montana? NO! There was a wolf killed illegally in the state yesterday that came from Oregon. Until Montana can stop things like this from happening I won’t give them a cent. Stephanie I live in Montana and work for a wolf organization..to say that is out of sight..
We are trying to change the flow of water in the stream..and you sound like you are having a tantrum..re think your thoughts. @Stephanie, that’s like saying until the fire department can prevent fires, you refuse to pay taxes that support the fire department. Ironically, yesterdays tragic poaching incident emphasizes the need for more funding for wildlife game wardens, which the wolf stamp would provide. No, this is like me saying I won’t pay for some other city’s fire department in some other state because its residents won’t put out their own fires. Will every red state now be offering these stamps do pay for things most normal states can budget for? Wildlife management departments should represent everyone without being bribed! Montana’s FWP bends over backwards to please hunters and ranchers because they expect to be paid by them. That’s what I’d call corruption and paying to be part of it only encourages Montana and other states to continue doing the same old corrupt thing.